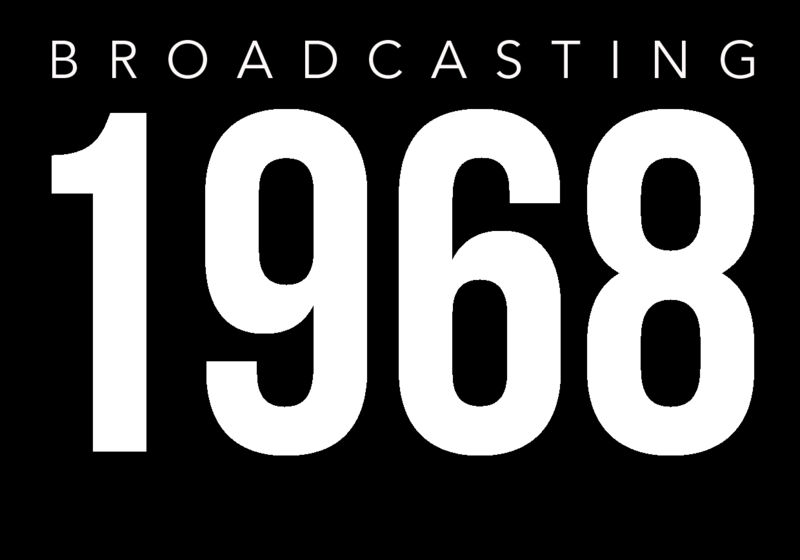 Broadcasting 1968 | "The whole world is watching!" 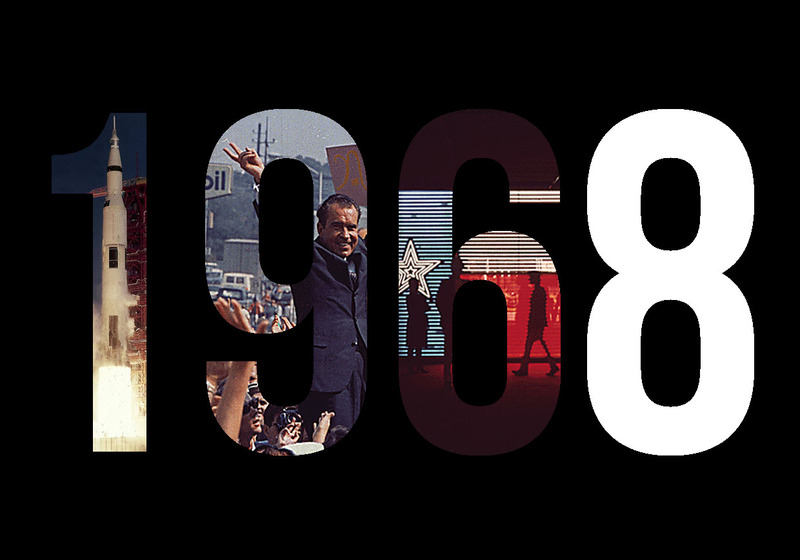 The United States experienced significant transition and change throughout the twentieth century, but a particular year—1968—proved one of the most dramatic and consequential to the nation. Fifty years later, we continue to feel its cultural impact. Considerations of why, however, too often undervalue the rise and influence of broadcast television. In 1950, only nine percent of US households owned a television set. By 1968, the number exceeded 90 percent. Understanding the year, then, requires assessing the critical role of television. And, more specifically, television news. 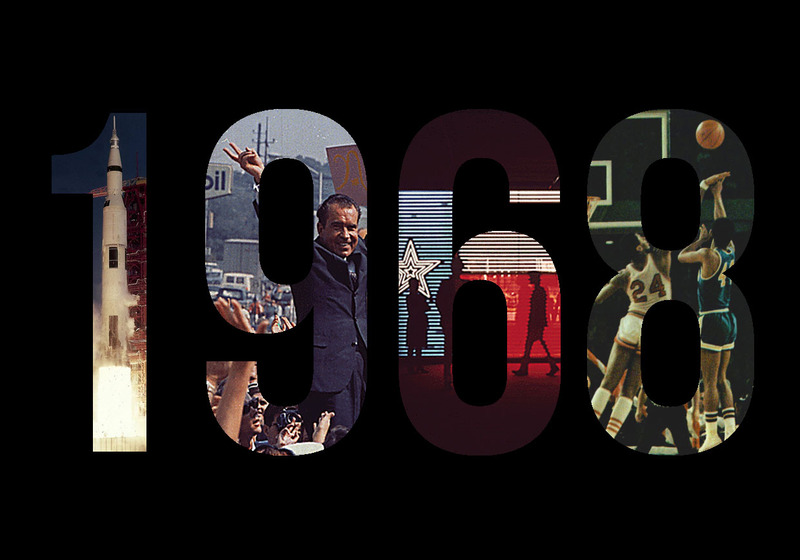 Millions of Americans experienced 1968's turbulent sequence of global events via local and network news programming, and subsequent generations process the year through the archival remnants of broadcast history. Importantly, television archives remind us that 1968 encompassed more than assassinations and war, protests and politics. The year also saw the progenitor of March Madness, breakthroughs in space travel, and a whole lot of the mundane. 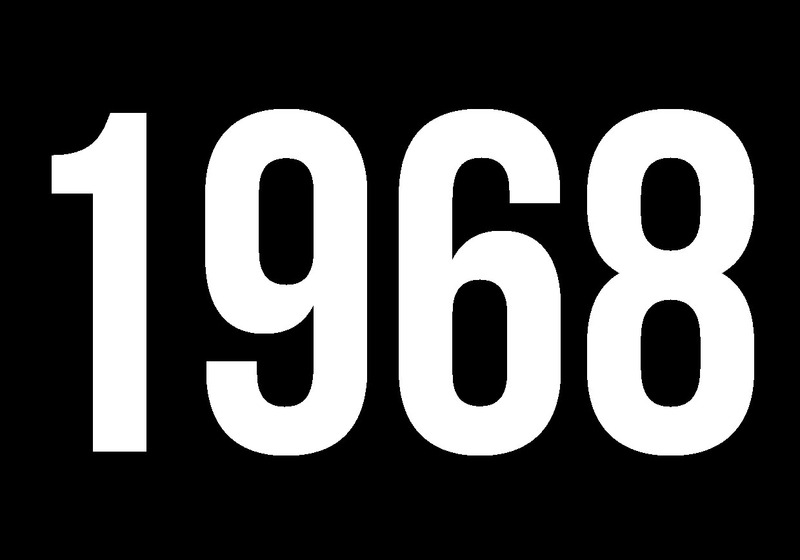 Pairing local television and government films, BROADCASTING 1968 considers a range of historic events and cultural trends through the lens of television news. In the process, the web exhibit addresses key questions about both 1968 and today: How does broadcast journalism document notable occurrences? Do archival films offer a different view of an era and why? And perhaps most importantly, who decides what stories are told? With an emphasis on news produced by Houston television stations KPRC and KHOU, BROADCASTING 1968 also uses so-called local news to complicate easy assumptions about city, state, nation, and world. How do national movements manifest locally, and local events achieve international significance? Houston—a diverse and populous center of industry, art, and government as well as a hub of the American space program—provides a worthy case study. 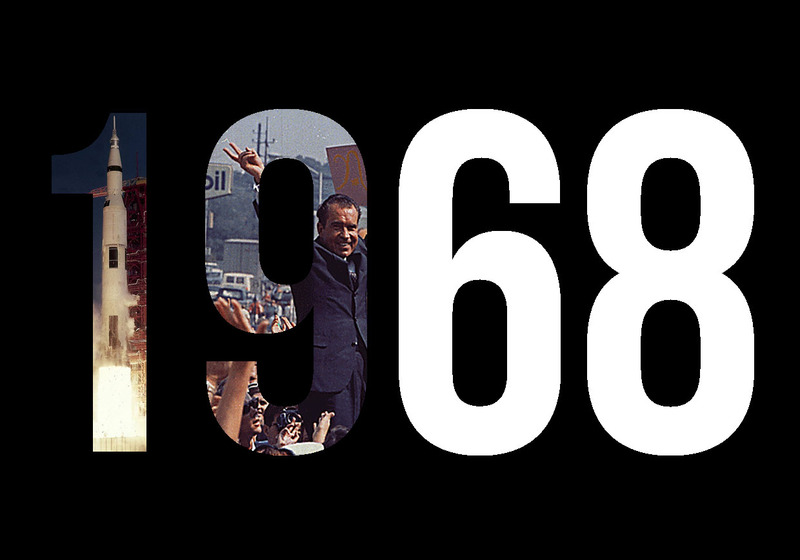 From the deaths of Dr. Martin Luther King Jr. and Robert F. Kennedy to the military escalation in Vietnam to the election of President Richard Nixon—1968 produced the most consequential year in post-war US history. Fifty years later, we continue to feel its impact. That cultural resonance is in no small part thanks to television. In 1950, only nine percent of US households owned a television set. By 1968, the number exceeded 90 percent. When police violently responded to demonstrations outside the Democratic National Convention, protesters fired back with calls of “The whole world is watching!” The chant articulated an important truth: millions of Americans experienced the year's turbulent sequence of global events via television news. As we look back 50 years later, television news also reminds us that 1968 encompassed more than assassinations and war, protests and politics. It also saw the “Game of the Century,” the first NCAA basketball game televised nationwide in prime time. It celebrated the founding of San Antonio with HemisFair, the first official international exposition held in the Southwest. It witnessed the first manned Apollo mission, with Apollo 7 astronauts Wally Schirra, Donn Eisele, and Walt Cunningham conducting the first television transmission from space. Pairing local television with mass-release government productions, BROADCASTING 1968 considers a range of historic events through the lens of television news. How did broadcast journalism document notable occurrences? What other moments—particularly city and state happenings—has time largely forgotten? Through a supplementary analysis of certain cultural trends, the web exhibit further examines the role of television in the construction of historical narrative. How do reporters present certain stories? What stories are told? Houston television stations KPRC and KHOU produced a majority of the materials featured in BROADCASTING 1968. Beyond grounding analysis within the context of Texas, focusing on a specific location also provides a valuable investigative framework. How do national movements manifest locally, and local events achieve international significance? Houston—a diverse and populous center of industry, art, and government as well as a hub of the American space program—provides a worthy case study. 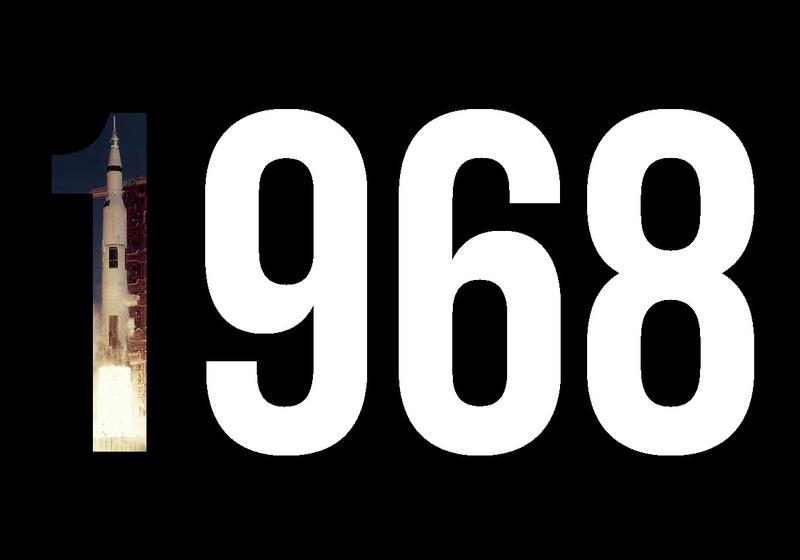 Enter BROADCASTING 1968 and explore how millions of Texans experienced one of the most transformative moments in modern US history. 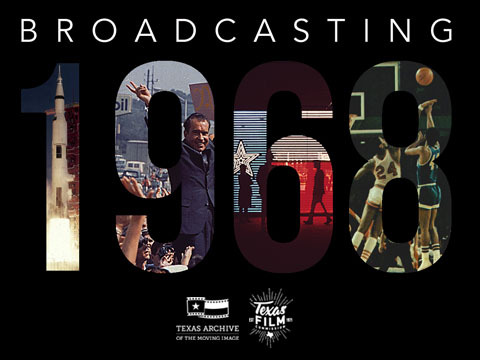 Enter BROADCASTING 1968 and explore how millions of Texans experienced one of the most transformative moments in modern history.